Felony by definition is a crime, typically one involving violence, regarded as more serious than a misdemeanor, and usually punishable by imprisonment for more than one year or by death. 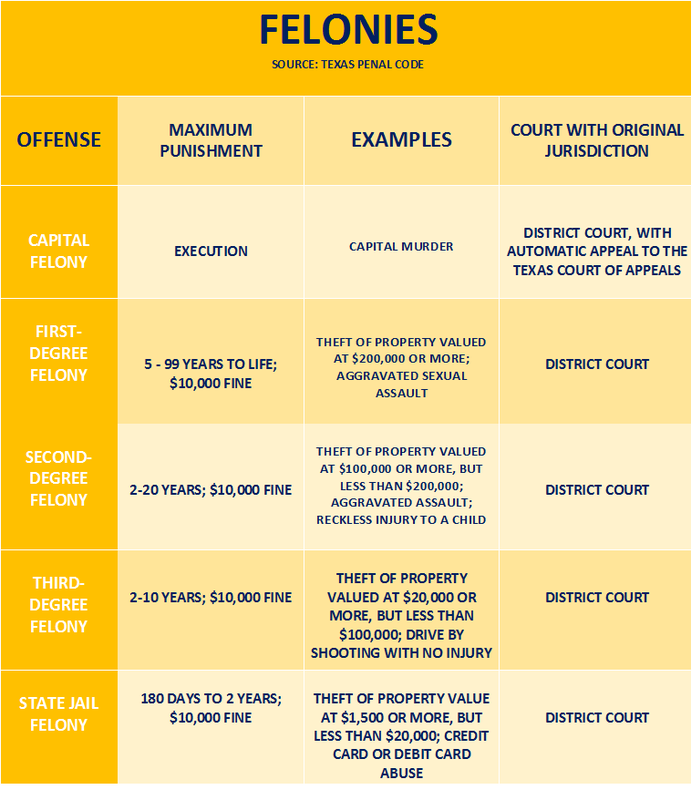 To demonstrate a clear depiction of the different Felony cases (per Texas law), this chart was created. Take a look and understand what charges Texas considers felonies.